KAMPALA – City businessman Sudhir Rupareria has brushed off a suit brought by city advocate Dr. Peter Musoke Gukiina, seeking to block the construction of a multi-billion hotel at Ssese beach where he claims part of the land. Mr Rupareria in a counterclaim has described Dr Gukiina as a bad neighbour, who is seeking to stop development of a new hotel facility for fear of competition since he is running the same business. Dr. Gukiina has run to court asking that Mr Sudhir is stopped developing the land. Early this week, the property magnate unveiled plans to construct a five-star hotel worth Shs336 billion on the 20-acre land that also covers the contested piece which is situated in Kongero, Wakiso district just adjacent to Ssese Gateway Beach. However, Mr Gukiina has run to the High Court’s Land Division through his lawyers Kaddu and Partners claiming that he is the rightful owner of the contested land (kibanja) measuring approximately 1.287 acres on part of the land described as Busiro Block 443 Plots 49,52,74,75 and 76. The land he claims is however already registered in the names of Speke Hotel Limited. The company is said to be owned by Mr Sudhir Ruparelia. Dr. Gukiina wants Court to order Mr Sudhir to vacate the land as well as issue a permanent injunction restraining him from developing it. 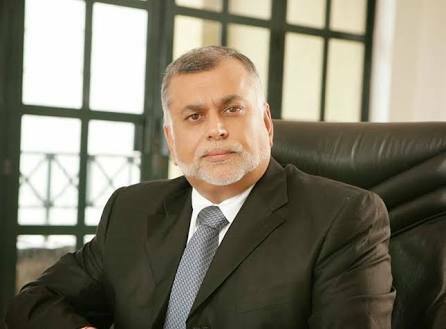 Nonetheless, Mr Sudhir through his lawyers M/s Walusimbi & Co. Advocates has dismissed Gukiina’s allegations and has lodged a countersuit. Walusimbi Advocates also told court that Gukiina filled a case against a non-existent party (Speke Hotel Limited) instead of Speke Hotel (1996) Ltd. It also turns out that the complainant has never owned a kibanja holding extending to land comprised in Busiro block 443 Plots 52, 74,75 and 76. “Speke Hotel (1996) Limited and Gukiina are the registered proprietors of land comprised in Busiro Block 443 Plot 75 and 374 and Busiro Block 443 Plot 50 neighbouring each other,” stated Sudhir’s lawyers adding that the property mogul has never sanctioned any threats, destruction or violence to Gukiina as he claims. In a counterclaim, the businessman has instead accused the former Makerere University Don of trespass on his land and with impunity causing destruction, confiscation of building materials including one such action performed on November 3, 2018, where he raided with police personnel and arrested four of his (Sudhir) builders without warrant. “The counter defendant (Gukiina) also erected a fence at the boundary of his land and that of the counterclaimant (Speke Hotel) touching the shoreline wherein he annexed a portion of the counterclaimant land for his benefit. The lawyers say their client(s) will ask court to dismiss the case with costs because the complainant’s suit and prior actions depict selfish interests. 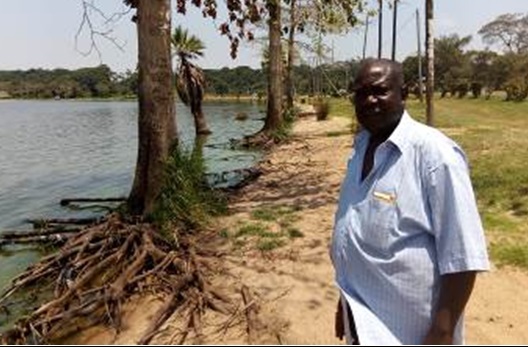 Dr. Gukiina, a former Makerere don, is not new to controversy, in 2016 he was accused by National Environmental Management Authority (NEMA) and Ministry of Water and fisheries degrading Lake Victoria in by “reclaiming and depositing soil and gravel along the entire shoreline” which impacted greatly on the lake water quality.